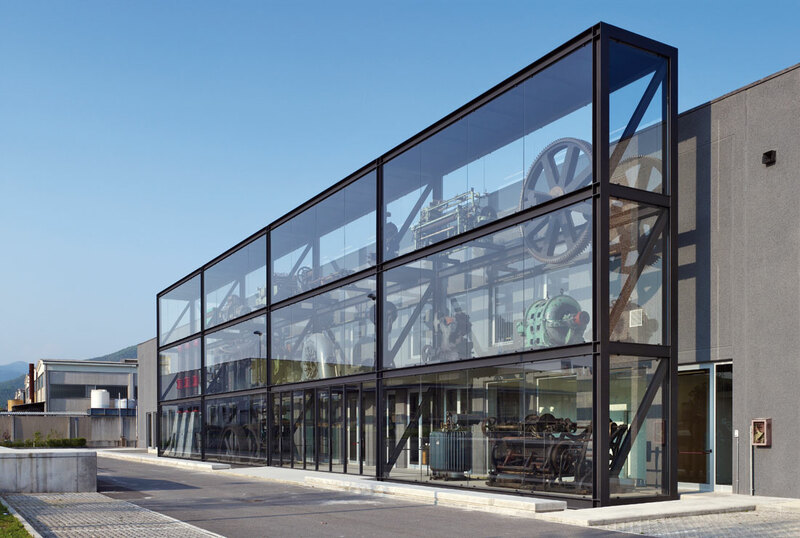 In contrast to the representative headquarters of the Museum in Brescia (competition 2004), also planned by Kleihues + Schuwerk, the Schaulager in Rodengo Saiano is a place for the simple accumulation of objects from the industrial past of Northern Italy and Central Europe. 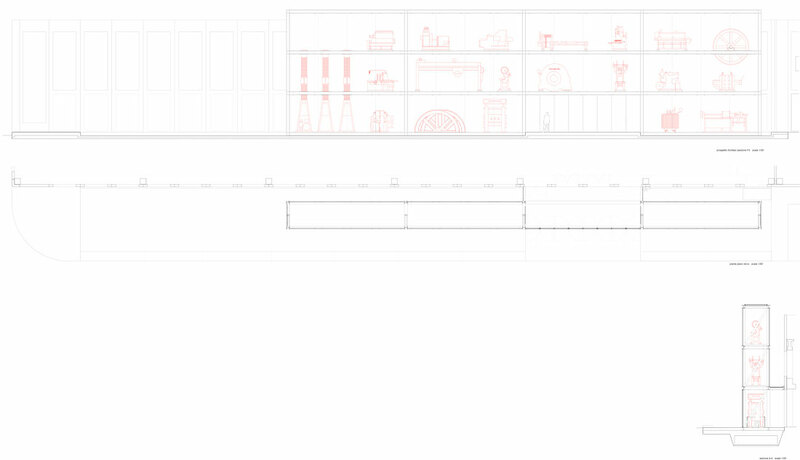 The aesthetic and semantic concept of the Wunderkammer was derived from this mechanism of simple accumulation that is characteristic of the Depot. 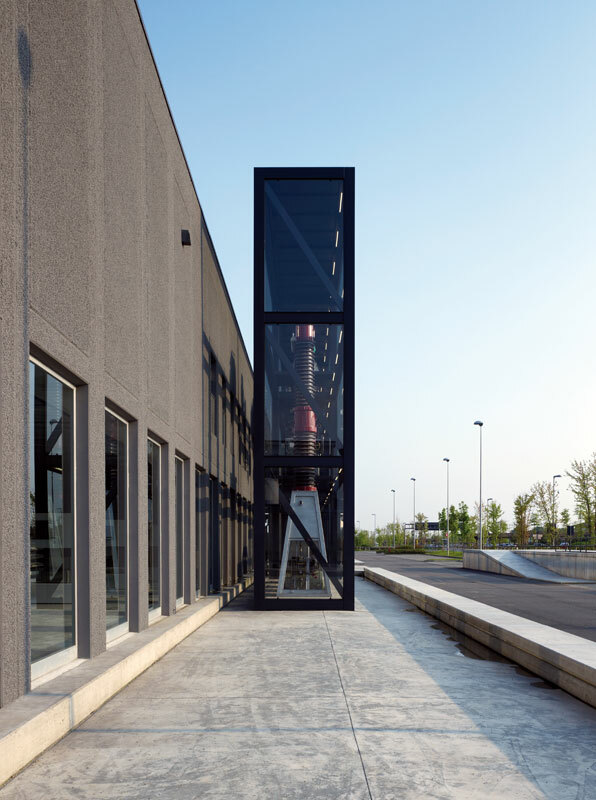 An anonymous, only marginally influenced industrial building was dyed anthracite and given a new façade by means of a 40-metre-long glass shelf in front of it. 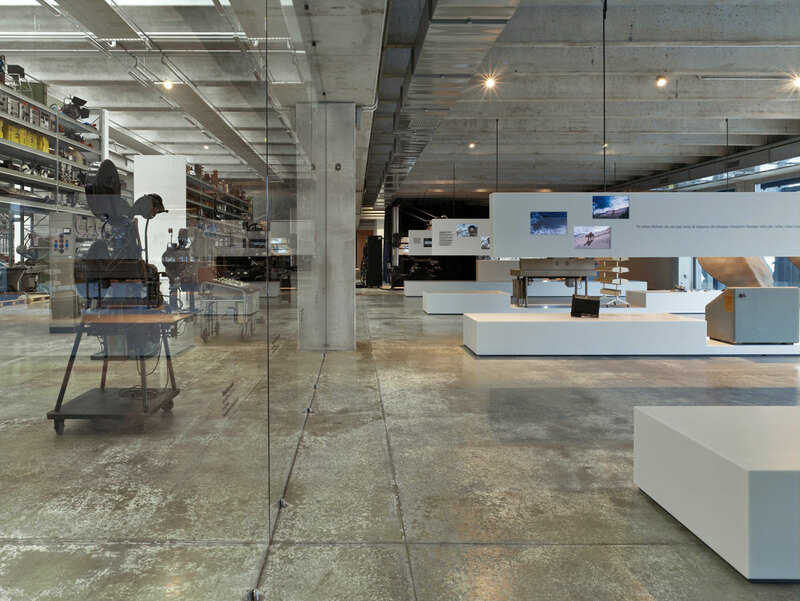 Exhibits of up to 11 tons individual weight suspended in it follow the principle of the Wunderkammer, the apparently random collection of objects, and thus depict the interior of the museum. 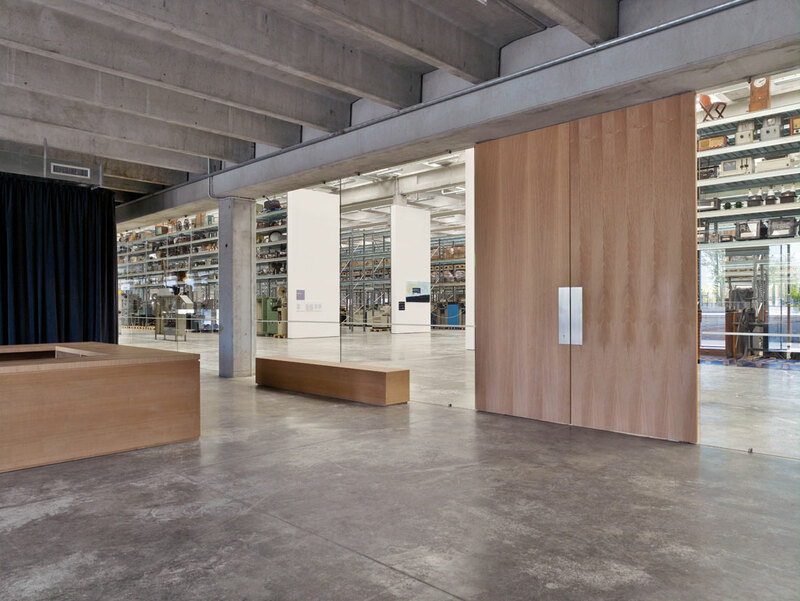 Schaulager occupies three quarters of the building’s area. 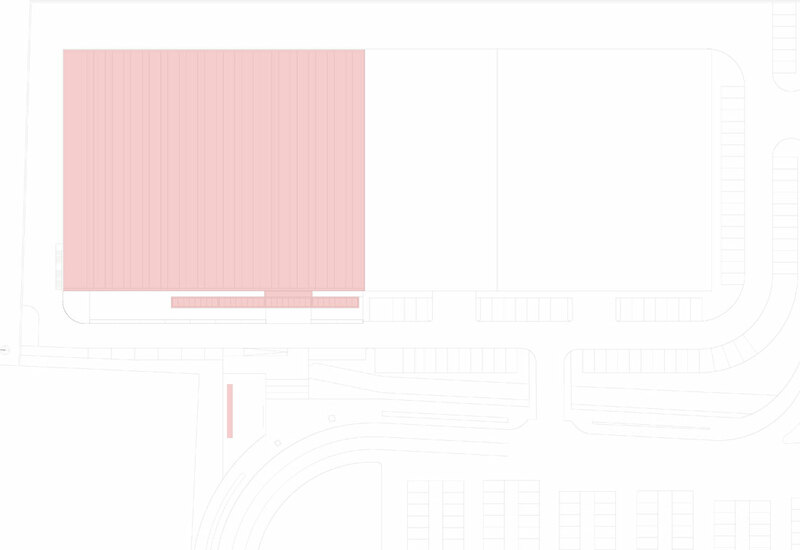 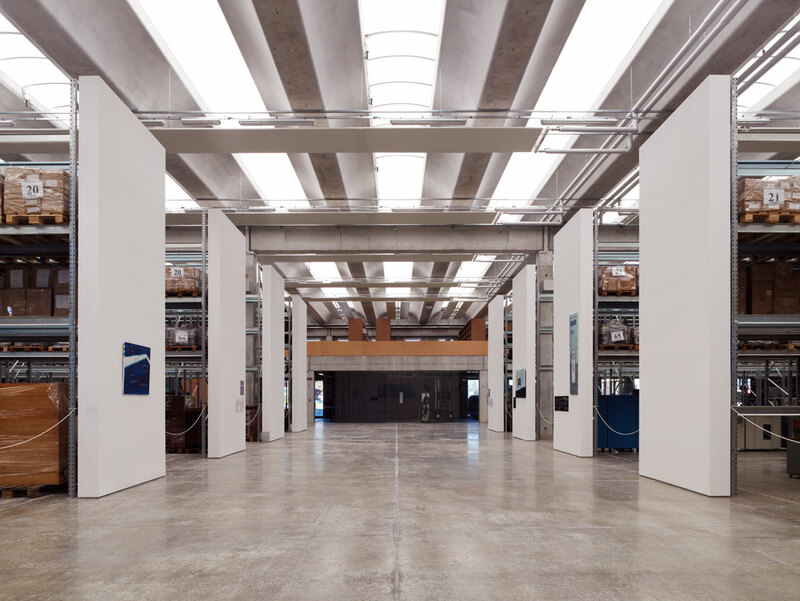 The rest is divided into training and research rooms on an inserted intermediate level, as well as a permanent exhibition on the moving image and its production conditions. 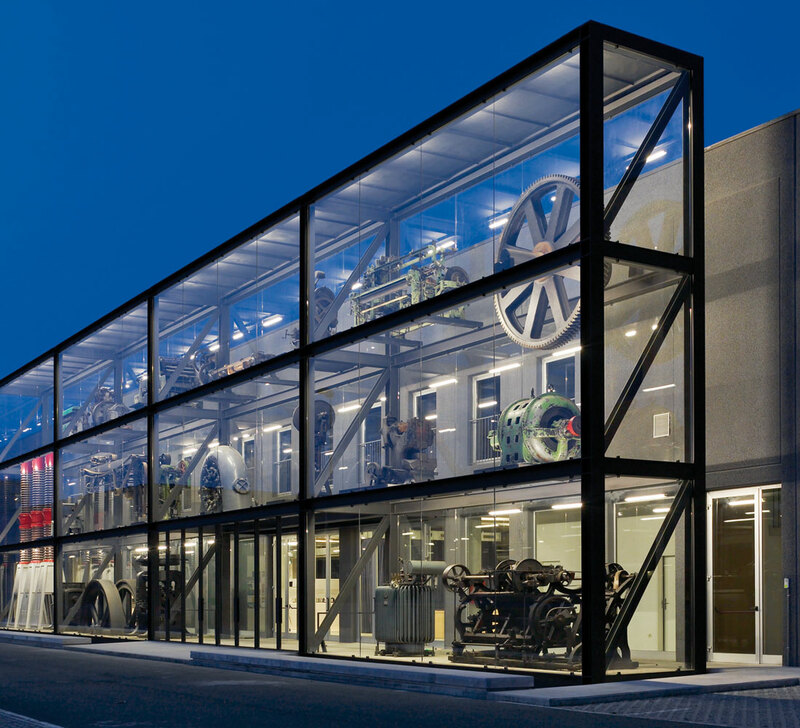 The exhibition warehouse of the Museum of Labour and Industry in Rodengo Saiano, Italy, was opened at the beginning of April 2009.